The future is here, baby ! 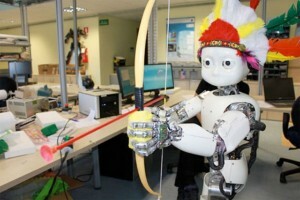 Robot archers, that’s what it’s all about ! This little humanoid robot, nicknamed iCub may be using just arrows with suction cups, but hey – you have to start somewhere ! 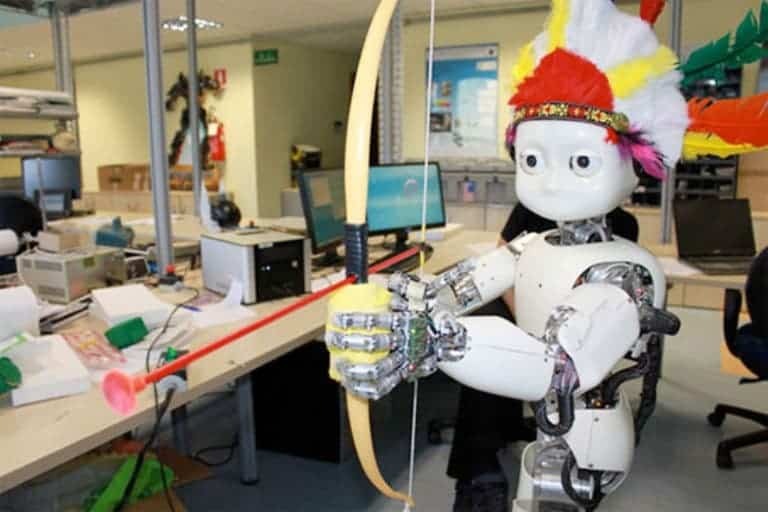 Italian researchers developed an algorithm that can teach the robot how to shoot arrows. So, after being taught how to hold the bow and fire, the robot learns to aim on its own, and gets better and better with each hit. It took 8 shots to hit the bull’s eye. The learning algorithm, called ARCHER (Augmented Reward Chained Regression) algorithm, was developed and optimized specifically for problems like the archery training, which have a smooth solution space and prior knowledge about the goal to be achieved. In the case of archery, we know that hitting the center corresponds to the maximum reward we can get. Using this prior information about the task, we can view the position of the arrow’s tip as an augmented reward, says Dr. Petar Kormushev of the Italian Institute of Technology (IIT). ARCHER uses a chained local regression process that iteratively estimates new policy parameters which have a greater probability of leading to the achievement of the goal of the task, based on the experience so far. An advantage of ARCHER over other learning algorithms is that it makes use of richer feedback information about the result of a rollout.